Wealth In Motion (WIM) is a revolutionary financial tool. Wealth In Motion is a financial simulator that allows you to view your complete financial position. By inputting your personal financial information into this simulator Macro Wealth Management can then see how your future will look based on your assumptions. The Wealth In Motion simulator is one of the most powerful financial tools available today. How to pay for your child's wedding? What to do if one of you becomes disabled? What happens if you or your spouse dies too soon? Did you get the right mortgage? What money should you spend first in retirement? Will you run out of money if you live too long? When should you take Social Security and what options are most beneficial? Should you take a single life annuity or the 100% joined survivor of pension benefit? What effects will taxes, inflation, lifestyle changes, long-term care, planned obsolescence and technological changes have on you now and after retirement? At Macro Wealth Management, our primary objective is to help you reach your full financial potential by gaining knowledge of wealth eroding factors and developing strategies to mitigate them. We believe all of our clients deserve greater returns, less risk and more control with NO ADDITIONAL out-of-pocket costs. We all want a financial life that produces long-term wealth, creates substantial retirement income, minimizes taxes, reduces financial costs and risks, and ensures that our legacy is well preserved. Ideally, we want to be able to achieve this with our current lifestyle. It is important to feel that our financial life is organized, flexible, and easy to manage and control. The problem is that we all make financial decisions all at once, at different times, with different people and under different circumstances. This methodology leads to a collection of financial decisions that resemble a junk drawer. Where our financial life is disorganized, uncoordinated, non-integrated, inefficient, ineffective, and lacks control, we find ourselves in a Financial Junk Drawer™. Have you ever felt as though the “financial rules” have been set up to benefit those making the rules? 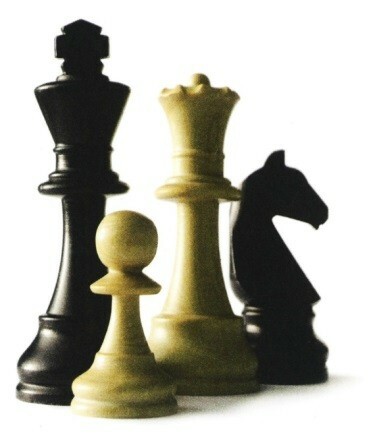 It’s important when you play any game, that you understand the rules and how they can affect the outcome. Your personal financial life is no different. If you’re not careful, you may be dealing with institutions and individuals who want your money, want it systematically, want to hold on to it for as long as possible, and want to return it little by little when you want it back. By identifying these characteristics within certain aspects of your financial life, you may be better equipped to reduce your lifetime financial costs while capitalizing on the opportunities for wealth protection, savings and growth. Money isn’t just a number. It has properties that cause it to increase or decrease in value. A variety of wealth eroding factors are constantly diminishing the value of our money over time. These wealth eroding factors are always present - 24 / 7 / 365. They erode wealth as fast or even faster than we can usually create it. In order to avoid the ongoing loss of wealth and the opportunity, a more systematic approach is needed. The Solution: A Strategic Process. Have you ever played a board game without the board? Imagine playing your favorite game or sport without the game board or without lines on the field or court. What’s the likelihood of that game being organized? How would anyone understand or follow the rules? How would you determine a great play or shot…. or a winner? “Winning the game” of personal finance is not that different than playing any other game. In order to succeed, we need to properly organize, analyze, and measure any financial decision. Therefore, it’s critically important that we use a tool designed specifically to incorporate the rules governing our financial world. That tool is the Leap Model, a macroeconomic model designed for personal finance. 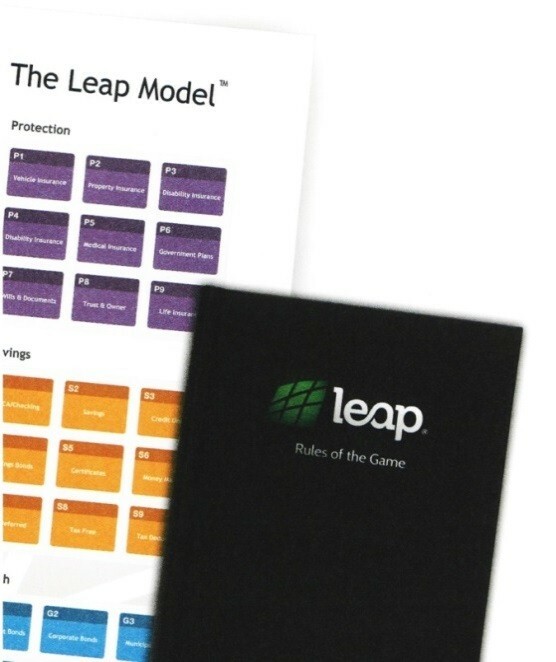 The Leap Model allows us to see all of our financial decisions simultaneously and provides the “game board” for us to measure how financial strategies, such as wealth building, protection, and retirement, affect us now and into the future. Imagine an orchestra where musicians are not seated next to each other according to instrument sections. Now imagine that same orchestra without a conductor. When the curtain goes up, instead of hearing a beautiful symphony, we would hear musical discord. How many times have each of the financial professionals in your life been in a room together to discuss your personal situation? For most people the answer is “never.” How would the recommendations, attention to detail and possible results change if they had? Our “Micro Managers” are typically not acting in concert or as conductors of our “financial symphony”. They tend to be focused within their own specialty and may not even be aware of all of our other assets, liabilities, protection, income or cash flow. This occurs because they lack the use of a toll like the Leap Model. With the Leap Model, we can make sure that our “Micro Managers” interact and work together in a unified way. As such, they would then complement each other and provide enhanced information and results regarding your financial life. 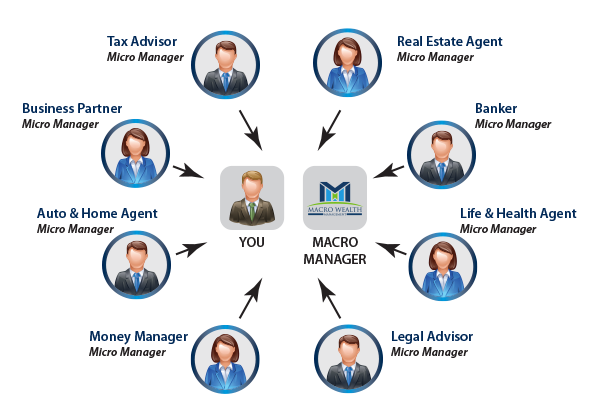 Macro Wealth Management enables your micro-managers to better perform their services by syncing their decisions to work in unison, with the overall goal of improving the performance and efficiency of your plan. Not all of these objectives are possible in every client circumstance. Individual results may vary and are dependent upon a variety of economic and personal factors.